Date:  Saturday, 2nd March 2019. Please feel welcome to connect if you're interested. Please note: Our workshops are merely a projected guideline and often adapts to the energy of the group. As a channel, Hayley completely surrenders to Spirit guidance which serves the very highest good of all present. What is Toxic Cell Memory? Our bodies are made up of billions of cells, which are constantly being renewed. Modern science teaches us that our cells contain DNA which is the blueprint for the complete design of our physical bodies and dictates our emotional, mental and spiritual state. Our cells retain the information of all life experiences that has been absorbed from genetic heritage, nothing ever experienced whether positive or negative escapes being programmed. Unresolved, our painful, fearful, traumatic experiences continue to replicate in new cells, and is considered Toxic Cell Memory which eventually creates physical, mental and emotional disease in the body. 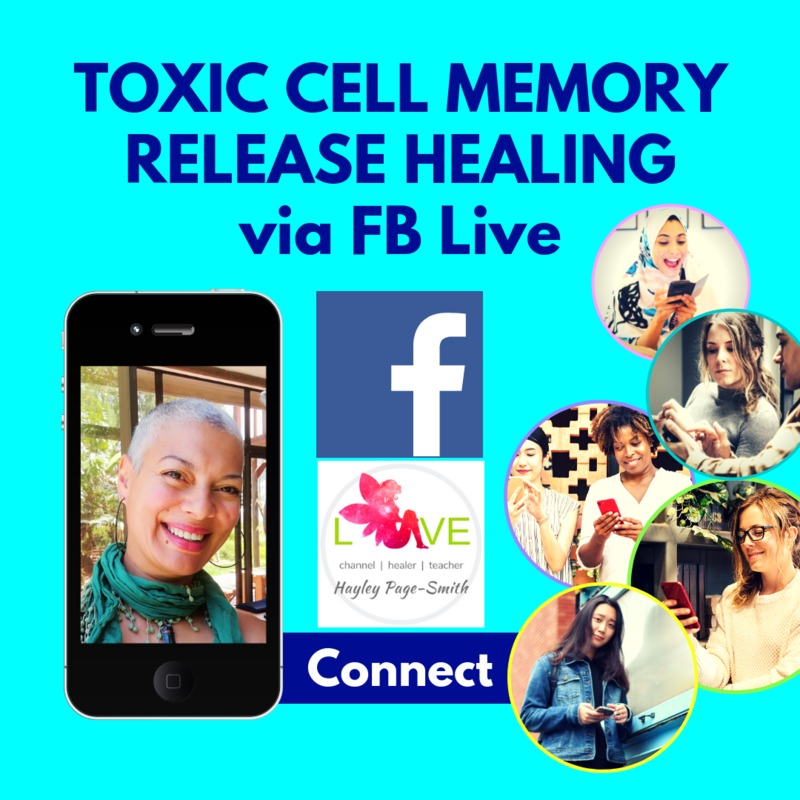 What happens during a Toxic Cell Memory Release (TCMR) healing session? I am simply a channel for God/LOVE energy which heals issues on every level. If you have never experienced a Spiritual healing, then it helps to know that during a healing with me, all that is required, is an open heart and the desire to heal. Our minds are conditioned to fear but our hearts feel truth. Please trust your heart. If you are not ready please wait until you are. This is a very sacred, high vibrational process, one in which I physically take on your energy and I far prefer connecting when you are ready to Let Go. I always ensure my groups fully understand the healing process and are beautifully relaxed and open to the experience. I connect energetically to each participant and they are then guided to release their toxic memories. During a TCMR, participants are NOT required to share their memories or experiences unless they feel a desire to do so. Many people find it challenging to speak about their pain, anger or trauma, so this is ideal for them. Participants are invited to release as much as they are ready to release during the session, and when I am guided, I’ll end the session by ensuring each person feels relaxed, energetically lighter and eager to embrace life with clarity, joy and purpose. Group and private sessions available. These pages are offered as part of my practice as a psychic medium Spiritual healer and are not to be taken as medical advice but as Spiritual guidance. I believe a clearing of Toxic Cell Memory allows for Spiritual clarity which accelerates holistic well-being. I offer guidance with my purest intention for the highest good of all who seek help in fulfilling their soul potential. Relationships are cleared of toxic cell memory. The client feels energetically liberated.